Bandai Namco is not shy about adding DLC characters to its fighting games, whether it's adding 2B or Negan to their banner fighting games, or going in heavy on the Saiyans in Dragon Ball FighterZ. That stays true in My Hero One's Justice, where Bandai Namco has already introduced the fire-based superhero Endeavor as pre-order DLC and has now announced Gale Force as the next character for the roster. 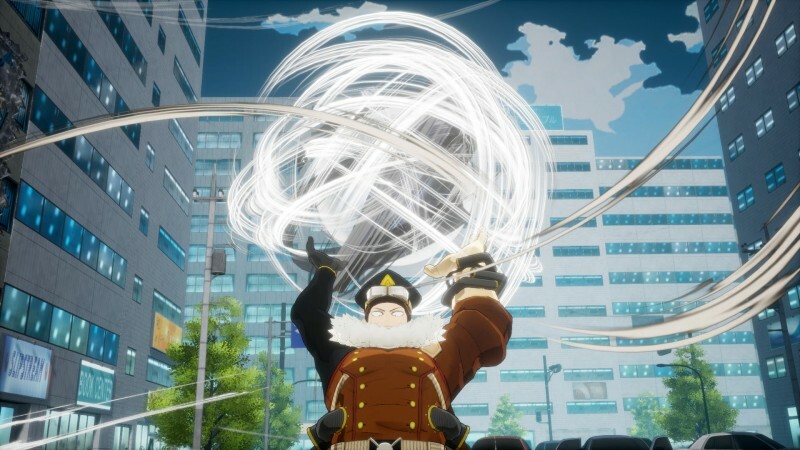 Inasa Yoarashi will be coming to all versions of the game on November 14, bringing his wind-based powers to the 3D fighting game. Gale Force is a first-year student at Shiketsu High School and stands out as the top of his class, though mysteriously withdrew his application from U.A. despite being a shoo-in for admission. Gale Force comes along with a mission pack, much like Endeavor did when he became available. Bandai Namco has not announced pricing for the character, but previous characters have released at $2.99.